For additional information about this book, visit the website www.bonnielcasey.com. 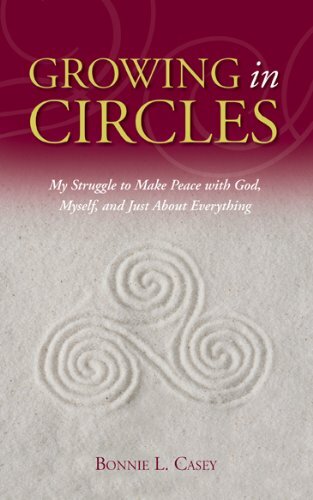 Growing in Circles is about salvation -- finding it, nurturing it, and passing it on. As you share Bonnie Casey's intimate, sometimes agonizing journey, you will begin to understand why you too desire this sort of personal liberation, and why you so richly deserve it. Positing universal truths that women often lose sight of, Growing in Circles chronicles one woman's quest to dig through her life's ''Lost and Found'' until she finds what everyone, male or female, is entitled to -- a positive sense of self. Bonnie L. Casey is a medical and science editor at the National Institutes of Health in Bethesda, Maryland. She is devoted to her friends, who, despite countless setbacks, still valiantly attempt to counter her reclusive tendencies. She lives (quietly) in Takoma Park, Maryland.